As NASCAR’s longest running division heads towards the 2005 season, there will be plenty of changes. 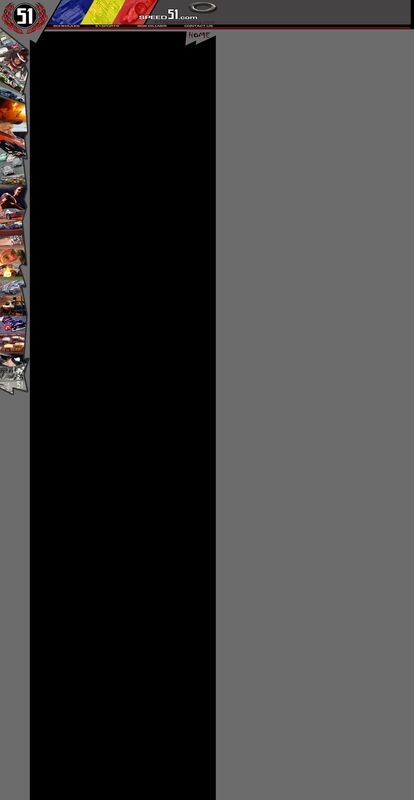 The series sponsor, a few tracks, the purses and several other items will be different. However, the most significant change for many purists of this form of racing might just be the changing of one word. Where the Mods are going is south. With the SMART Modified tour being jettisoned by the financial troubled ASA organization, it appears that NASCAR will take over the reins of the series and turn it into a southern Modified Tour of sorts. A championship race between the two divisions is also in the cards. Next season, the Modified “Tour” will live again under the sponsorship of Whelen Engineering. In recent seasons, the historic name was changed to the Modified Series to be consistent with NASCAR’s other touring divisions. However, the Mods are a different creature and it appears that NASCAR is now celebrating that fact. The new logo for the NASCAR Whelen Modified Tour was unveiled during the annual Awards Banquet at Mohegan Sun Casino in Connecticut. It was designed by noted motorsports artist Sam Bass. Whelen did a good job of working their way into the hearts of competitors by awarding the top 20 drivers in the 2004 standings with leather jackets emblazoned with the new logo. Extra jackets were also given to Tommy Baldwin, Jr. and Mike Joy for their support of the series. This move might prove to be somewhat controversial. For the past two seasons, independent promoters have put on the North vs. South Shootout at Concord Motorsport Park (NC). The race quickly developed into one of the richest and most prestigious events for teams. NASCAR will not be involved in that particular race, which creates the potential for a conflict when it comes to planning a post season special event schedule. Hawk also announced that the tires for the Modified Tour will be supplied by Hoosier for the next three seasons. Some competitors had been critical of the Hoosier tires in 2004, but according to Hawk, NASCAR took that into account and worked with Hoosier to combat those problems. Engineering reports were studied and changes were made with what appears will be positive results. “What you perceived to be a problem is solved,” said Hawk. Don Hawk, the NASCAR Director of Touring Series Development also made a good impression on those at the banquet and he didn’t have to give away a single jacket. Instead, he brought news of change and gave the impression to competitors that NASCAR cares about the long term health of the Modified division. Hawk had been at several events during the 2004 season to gather information. He was seen at Thompson talking to nearly all of the competitors, from the well funded top teams to the underdogs who tow to the track with open haulers. This experience helped him to move along a few changes for the future. The Mods will return to Thompson five times in 05... more than any other track. An increase in the minimum purse requirement at short tracks has also been made. The winner’s share of the purse will now be at least $6,000, which is up from $4,000 in 2004. The most important thing for teams though might be something that is commonly thought to have been lacking in recent years – accountability. With Hawk at the helm over the Modified Tour, it appears that he will enable teams to have someone to turn to. All races are 150 laps unless noted. 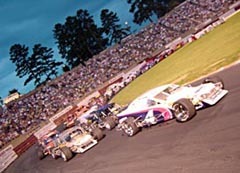 The Southern Mods at Bowman Gray Stadium, NC. A schedule was also released. Gone are stops at Lake Erie Speedway, Wall Township Speedway and Nazareth Speedway. Nazareth has closed up shop, Lake Erie will likely focus on fendered racing and speculation is that with the success of the Turkey Derby in 2004, Wall management is leaning towards promoting a few big unsanctioned Modified shows next year. Added to the schedule (officially) is a return to Jennerstown Speedway (PA) and a fifth event at Thompson Speedway (CT). 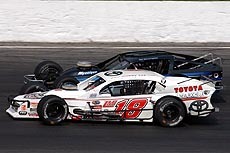 A TBA race is slated for Labor Day weekend and all signs point to a Busch North/Modified Tour doubleheader on that date at Myrtle Beach Speedway (SC).